I've been trying to catch up the blog recently with a lot of work from the last few months that I haven't had a chance to post. 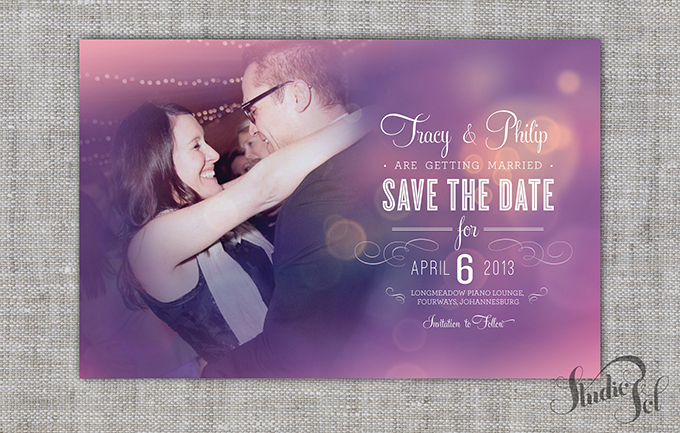 This is a save the date I did a couple months back for Tracy and Philip. I absolutely adore the soft whimsical aspect that was inspired by a One Day movie poster Tracy had seen on Pinterest and absolutely loved.